(Representative image) Automakers have now started exporting bigger cars and engines from India, and are also relying on local research & development to develop vehicles. MUMBAI: In the past nine months, Mercedes-Benz brought some 80-90 Brazilians, in three batches, to its plant at Chakan in Pune. They were here for training on some critical processes of vehicle assembly, body and paint shop functioning, and an area where India has demonstrated its prowess — compact cars. Executives from Chakan are now scheduled to travel to the German company's facility at the town of Iracemapolis in Sao Paulo to offer the Brazilians some onsite training and help in setting up a paint shop. India, with its frugal manufacturing capability, is known already as a base for producing small cars for the world. Automakers have now started exporting bigger cars and engines from here, and are also relying on local research & development (R&D) to develop vehicles. With the country becoming a training ground as well, and local sites defining the best practices for those elsewhere to follow, India is seen as etching its mark deep as a key cog in the global automobile industry. This is also a demonstration of the confidence that automobile majors have in their Indian managers and an acknowledgement of the hard work they have put into creating well-oiled operations, said industry executives. "I believe it's like a two-way traffic. You've to perform and prove yourself and at the same time you also need acknowledgement," said Piyush Arora, executive director of operations at Mercedes-Benz India. "Our HQ (headquarters) has shown a lot of courage and confidence. They've entrusted with us training a third country; this shows the confidence the HQ has in us," added Arora. Not too long ago, when Hyundai Motor was planning to start a third shift at its Alabama plant in the US, a team of about 30 people visited the Korean company's Chennai factory to understand, among other things, the shift pattern, logistics management and people movement. Ford Global Business Services, which employs close to 14,000 people in India, offers various services to Ford Motor's global operations, including in IT, accounting, engineering services and data analytics. Suzuki replicated Maruti Suzuki's dealer management system at Suzuki Pakistan. The Maruti system measures operational performance of the company's nearly 2,000 dealerships. The Japanese parent uses the Maruti-developed, IT-based warehouse management system at its Indonesian subsidiary, Suzuki IndoMobil. Indian executives were roped in to help their foreign counterparts in these process transfers. "Managing the warehouse for parts is a complex process. Given the wide range of Maruti SuzukiBSE 3.07 % models, and the need to service a massive national network in time, the company has created an effective warehouse management system for parts. This too is being adapted in other markets," said a Maruti spokesperson. As the world moves towards more of software and soft skills, there is a larger recognition of exceptional work done by companies in India and global organisations are willing to take the good work to other geographies and operations, said VG Ramakrishnan, managing director of Avanteum Advisors. "We should expect Indian entities of global organisations having larger impact on global business in future." 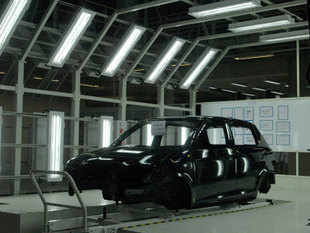 According to Mercedes-Benz, its Indian plant is on par with those in Germany in terms of process quality and stability. In India, Mercedes doesn't produce the entire car, but assembles it from imported kits. But the maker of the S-Class saloon and GLA sports utility vehicle is increasing the use of local parts to make its products more affordable here. Copying the processes and practices allows the company to quickly set up facilities in other similar emerging markets, such as Brazil. When the Brazilians were at the Chakan plant, every visitor was assigned a mentor, with both working closely until the end of the training, said Arora, the executive director of operations at Mercedes-Benz India. And he sees India playing an increasingly key role whenever and wherever the company sets up a new plant. "However, what kind of role we shall play, can't be defined now," he said. "It can be in the domain of training, best practice sharing, sharing of IT systems, technical change management expertise, etc."